Earlier this year one of my lovely sisters got married. I help her out with the wedding cake. 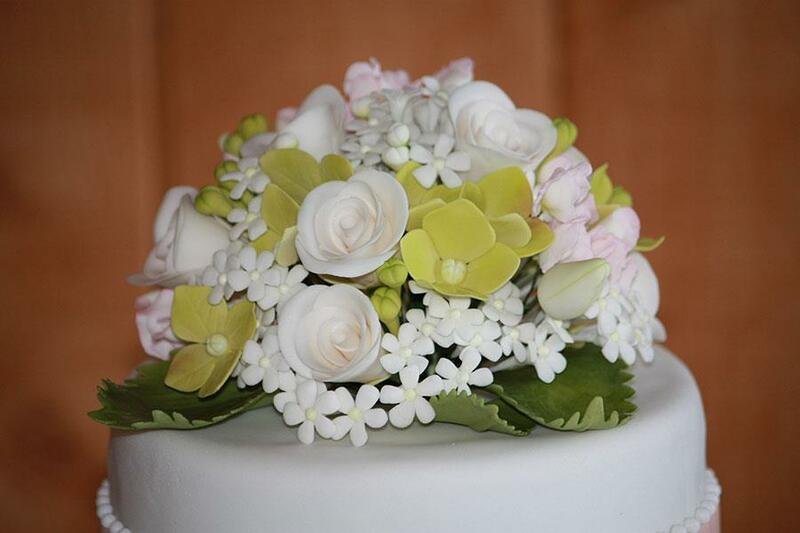 This was a great chance use some of my new sugar flower skills following attending a fantastic class with Jacqueline Butler of Petalsweet the previous year. I just adore Jacqueline’s flowers and style and did my best to capture the same. The plan was to get the cakes supplied from a local store and my job was to do the decorating. They came iced with the base fondant already, unfortunately there were some issues with a couple of the cakes leaking so I had to do a quick bake to replace the top tiers. Gosh making wedding cakes is stressful! I created and applied the lacework to the bottom tier. 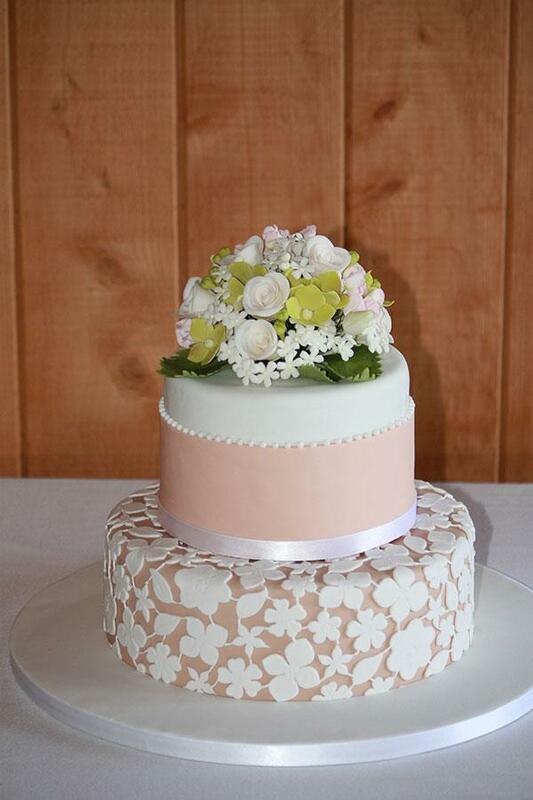 This was done using a variety of flower cutters, veining and marking them by hand, sticking them on the cake, then going around and piping royal icing lace lines to join up the flowers. That whole process took quite some time. The wedding venue was in Matakana, about a two hour drive away – a careful, slightly nervous drive! I did have a cake repair kit with me in case there were any breakages on the way. All was good and I got the cake assembled with plenty of time to get dressed and ready. Phew! She was very happy with the cake and had a great day, it was a beautiful wedding and they make a lovely couple. Congratulations and I hope you enjoy a happy lifetime together.